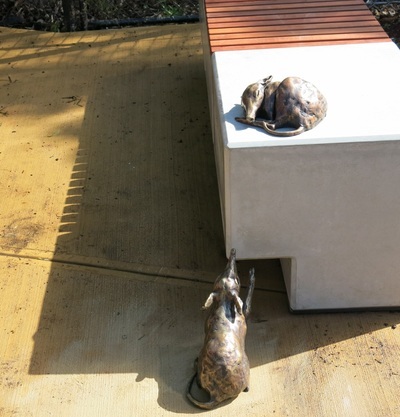 These sculptures were commissioned by NSW Transport in 2014 as part of the public art part of the new inner west light rail corridor. 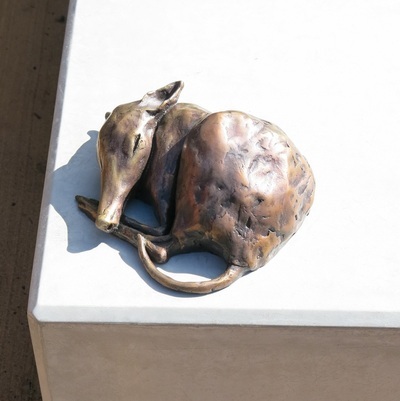 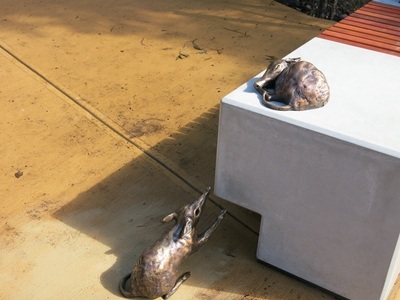 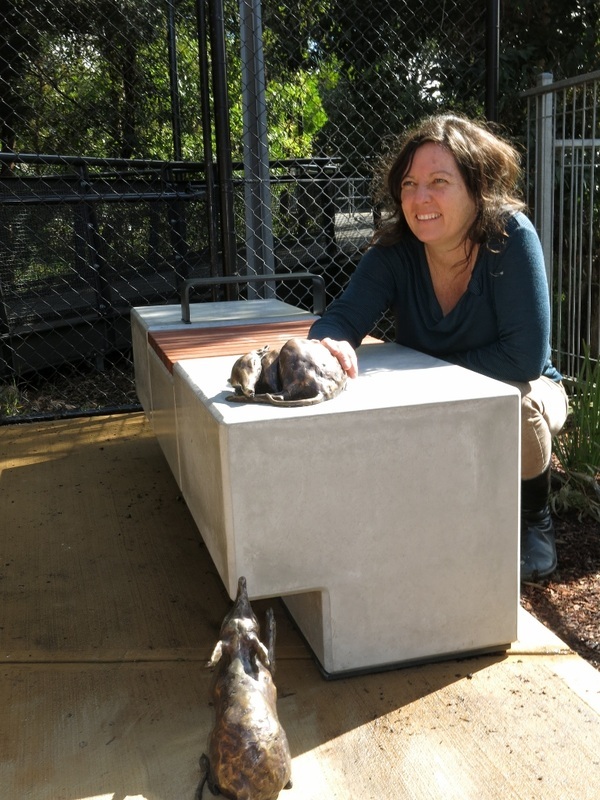 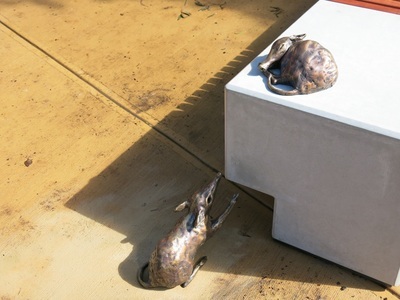 The bandicoots are made from bronze and represent the reemergence of the endangered long-nosed bandicoots to the Inner West of Sydney that have not been seen for many years. If you pass by them please give them a pat for me! Read more about the Inner West Greenway project by clicking this link.